Being involved in a serious car accident can leave victims with a long uphill battle to recovery — both physical and financial. Even worse, if you’re hit by a drunk driver with no insurance, it can bring additional legal challenges if your insurance company refuses to cover you. If you were recently hit by a drunk driver in Texas, you’re not alone. According to the Texas Department of Transportation, between the hours of 1 and 3 a.m., an average of 2,400 to 3,000 alcohol related crashes happen every day. And unfortunately, Texas still ranks No. 1 in the nation in alcohol-related driving deaths. While a new law recently passed by Texas Gov. Greg Abbott that requires all drunk driving offenders to install an alcohol-monitoring device on their vehicle is a step in the right direction, it offers little solace to those who have already been involved in such an accident. Inevitably, many drivers who irresponsibly choose to drink and drive also fail to carry auto insurance. That means there are thousands of other people like you in similar situations, many of them having to deal with drunk drivers who had no insurance at the time of the accident. This is a simple first step to determine who is ultimately liable for the accident. If the drunk driver was driving a friend’s vehicle at the time of the accident, for example, you may be able to make a claim against the owner’s insurance policy. 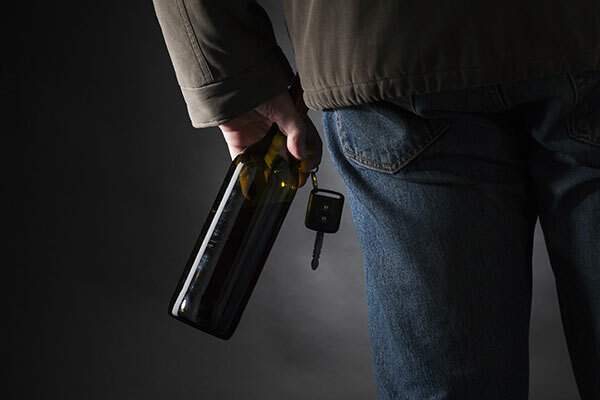 If the drunk driver was driving a rental vehicle, there may or may not be coverage because most rental policies specifically exclude drunk-driving accidents. Finding out who owns the vehicle and if that person has any sort of coverage is a key first step to determine your next step. In Texas, all automobile policies are required to provide UM/UIM coverage for drivers who suffer damages as a result of an accident unless such coverage is specifically waived in writing. This includes people involved in a direct accident with a drunk driver, people hurt in another vehicle as a direct cause of the drunk driver’s actions, and passengers riding in a vehicle involved in the crash. This is called UM/UIM coverage, or underinsured motorist/uninsured motorist insurance coverage. UM/UIM coverage is mandatory in Texas, unless you specifically signed a waiver at the start of your policy agreeing to have this coverage waived. This type of coverage allows you to make a claim against your own insurance company to compensate you or other passengers in your car for damages related to the collision, including medical bills, lost wages, and pain and suffering. The amount of available UM/UIM coverage depends on your individual policy but the minimum amount is $30,000 per person and $60,000 per accident in Texas. We hear from many of our clients that their insurance companies told them that they did not have UM/UIM coverage in their policies. If this is the case, insist that your insurance company provide you a signed UIM/IM waiver. If the company cannot provide this written documentation, you’re legally entitled to UM/UIM coverage. If you find yourself not having UM/UIM coverage and little or no recourse against the drunk driver to recoup your damages, there is still help available. No one should have to suffer through the pain and suffering that comes with a car accident, especially one caused by a reckless and irresponsible drunk driver. This is where the Texas Crime Victim’s Compensation Fund comes in. This fund is administered by the Texas Attorney General’s office and reimburses innocent victims — such as victims of drunk drivers — for some out-of-pocket expenses that they suffer as a result of the crime or accident. As you can see, there are many claimants that can benefit from the victim’s compensation fund beyond just those directly involved in the drunk-driving accident. The fund however, is limited to covering the following motor-vehicle related crimes: Failure to Stop and Render Aid, DWI, Manslaughter, Criminally Negligent Homicide, Aggravated Assault, Intoxication Manslaughter and Intoxication Assault. Being a victim of a drunk driver is hard enough to physically and mentally recover from without the added stress of having to fight for the compensation you deserve. Legal experts can help you navigate the variety of options available to you and maximize the amount you are due to fully cover your expenses. Unfortunately, it happens all too much in the state of Texas.